Home latest social media x-featured-x Are Younger Generations Turning their Backs on Social Media? Are Younger Generations Turning their Backs on Social Media? Social media has long been thought of primarily as a domain of the young; it is a land of trends, crazes and fads, a symptom of the rapidly changing demands of the tech-savvy youth. 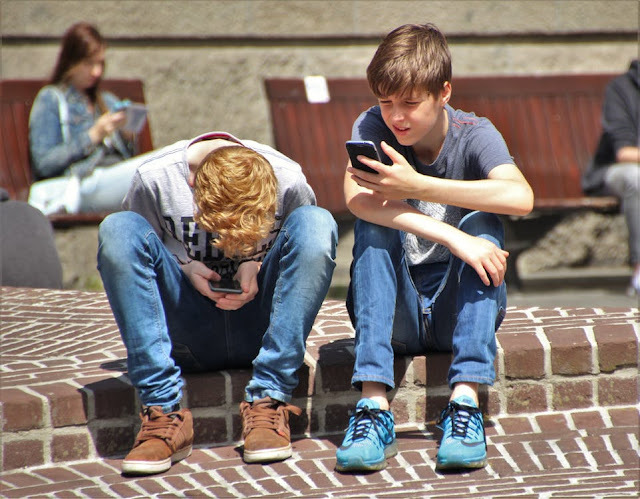 However, recent research has suggested that many school-age individuals are becoming increasingly disillusioned with social media and the negative effects it can carry, and something of an exodus may be on the horizon as a result. The research in question was conducted by Digital Awareness UK and the Headmasters’ and Headmistresses’ Conference (HMC), and incorporated responses from roughly 5,000 students at independent and state schools throughout England. Of those surveyed – most of whom were pupils in years 9, 10 & 11 – a staggering 63% stated that they would not care if social media had ever existed, which is a far cry from the online-obsessed group the UK’s youth are purported to be. 71% of pupils said they had gone so far as to take a temporary ‘digital detox’ in order to escape the sometimes-damaging effects of social media. This increased disillusionment with what social media has to offer seems to stem from the negative impact such platforms are having on the emotional wellbeing of these young users. This is evidenced by the 57% of respondents who said they had personally received abusive or hateful comments online; other issues include the addictive nature of social media, as cited by 56% of respondents, and a decrease in confidence regarding looks or simply how interesting their life is perceived to be, as stated by 52%. Further adding to the problem, particularly in regards to confidence, is the fact that more than 60% of respondents believe their friends show a “fake version” of themselves on social media, yet 85% of pupils questioned denied that they were guilty of such misrepresentation themselves. Students were also asked to recommend ways in which they believe social media platforms could be improved, with the top answers being a reduction in advertising (71%), less fake news (61%), more creative content (55%) and greater privacy (49%). The pupils involved in the survey did however single out some more-positive aspects of social media which they still favour, identifying features including memes, filters/lenses, and storytelling features such as Snapchat Stories. Charlotte Robertson, the co-founder of Digital Awareness UK, said of the research, “We speak to thousands of students on a daily basis about safe internet use and while it’s a matter of concern to see the emotional impact social media is having on young people’s health and wellbeing, it’s encouraging to see that they are also employing smart strategies such as digital detoxing to take control of their social media use. “Social media allows us to be creative, connected, to campaign for things we believe in, to become entrepreneurs. It’s a platform that should be celebrated and if online abuse or fake news stops it from flourishing we all lose. Chris King, HMC’s chairman and headmaster of Leicester grammar school, also commented, “The findings of this poll may surprise teachers and parents but it will help them understand the pressures young people feel in the digital age. It is fascinating to see the first indications of a rebellion against social media and reminds us that they may need help to take breaks from its constant demands.